Staying indoors and wearing comfy pajamas around the house for the holidays is probably one of my favourite things to do as a family. So, if you’re looking to take your pajama game to the next level why not wear coordinating jammies?! 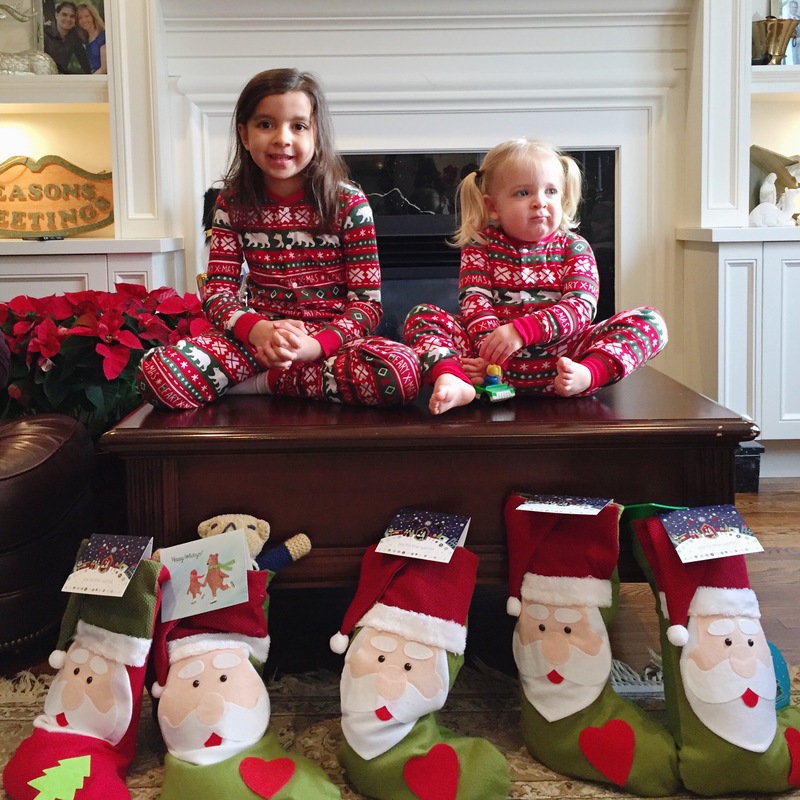 Shopping for the best matching family Christmas pajamas can be a bit of a challenge since it’s hard to find sizes that will work for the whole family as well as ones that are affordable, good quality, and stylish. 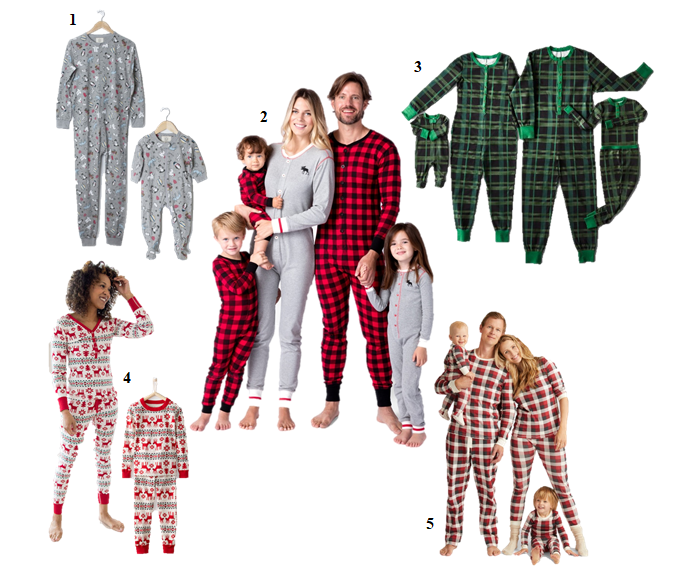 After a few requests on finding the perfect family pajamas, I’ve rounded up the best ones from some of my favourite brands. Check out my top picks below – a couple are even on SALE! These holiday pajamas are magical, fun, and make the perfect family photo op too. Another great point about the ones below is that you can wear them all winter long without being too Christmassy, and they won’t lose their luster. Arborist Holiday Sick Kids Onesie – What I love about these Arborist pajamas from Drake General Store is that they have a playful holiday pattern and are designed by patients at Sick Kids Hospital with a portion of sales going to Sick Kids. 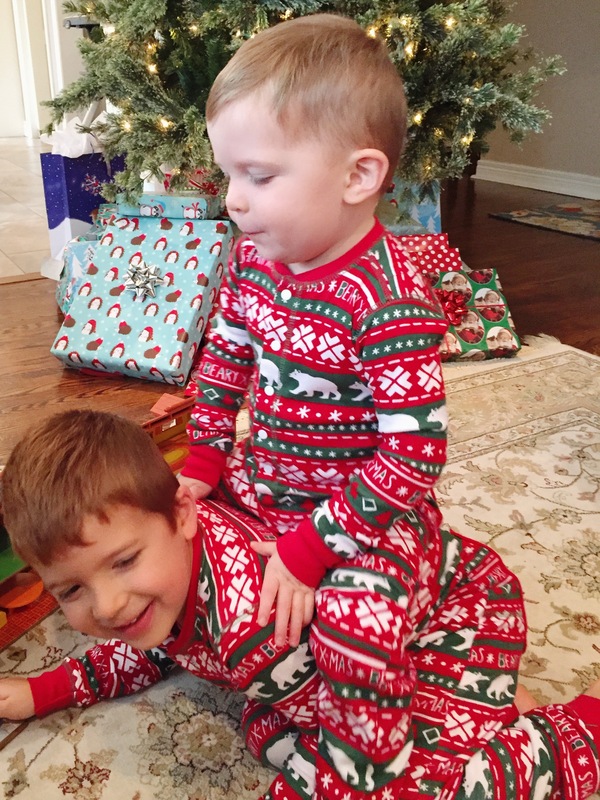 They’re not just Christmas themed pajamas but work for the whole family all winter long. They carry adult sizes, children’s sizes, and baby. 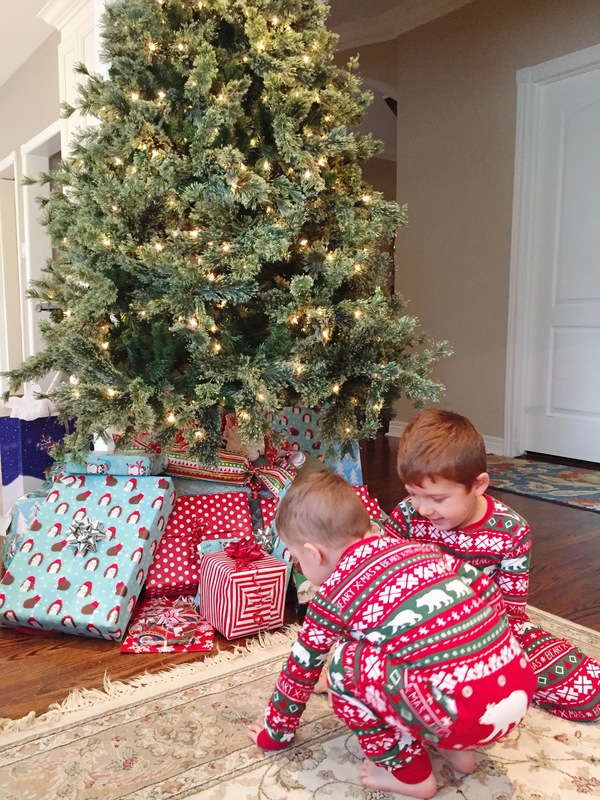 Mountain Plaid Family Pajamas by Little Blue House – Hatley makes great pajamas and these are perfect for spreading some serious holiday cheer around the house. I also love the classic candy cane stripe set print. You can find a great selection of Hatley sleepwear at Chapters Indigo too. 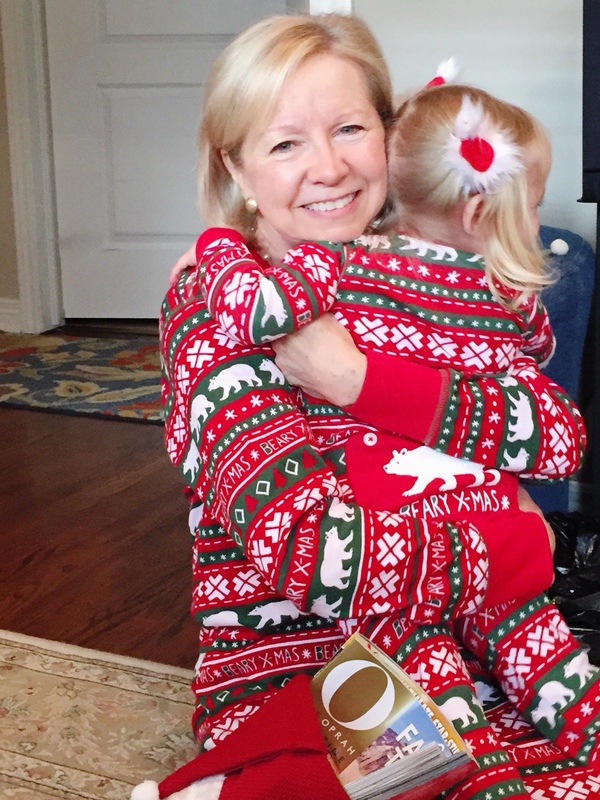 I recently purchased a set of 5 pajamas in the Beary X-Mas print for all the grandkids on my side of the family when we celebrated Christmas in November back in Toronto. I got them at 25% off. Hearth & Hand with Magnolia Family Pajama Collection – I absolutely love this colour combo of green and black in a check print. It’s festive yet understated for Christmas time. I just wish Target was still in Canada because you can’t order Hearth & Hand online. So consider making a trip to the states to snag this cute set for the whole family!! Dear Deer by Hannah Andersson – Hannah Andersson is known for their vast selection of matching pajamas and I love that the sleepwear comes in organic cotton! So much to choose from. If you and your partner didn’t want to match this season, you could try just coordinating the kids in this adorable nutcracker theme. If you want the whole family to match, the very merry mix is a classic. Right now it’s 40% off sleepwear! Burt’s Bees Buffalo Plaid Pajama Set (Cranberry) – Another cute set from Target is Burt’s Bees line in the buffalo plaid print. You will want to size up on this brand because they do run quite small.